Still a gap near 4090 left unfilled which may act as a intermediate as of now. 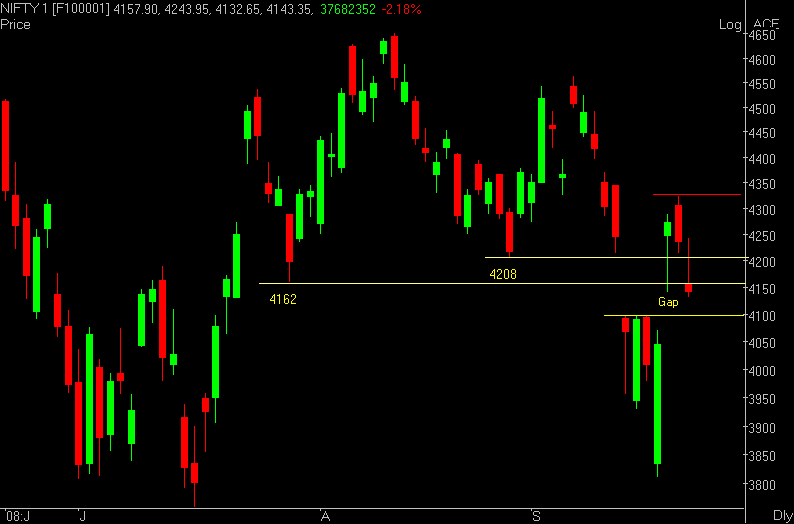 Failing to close below 4090 may target nifty towards 3800 once again. 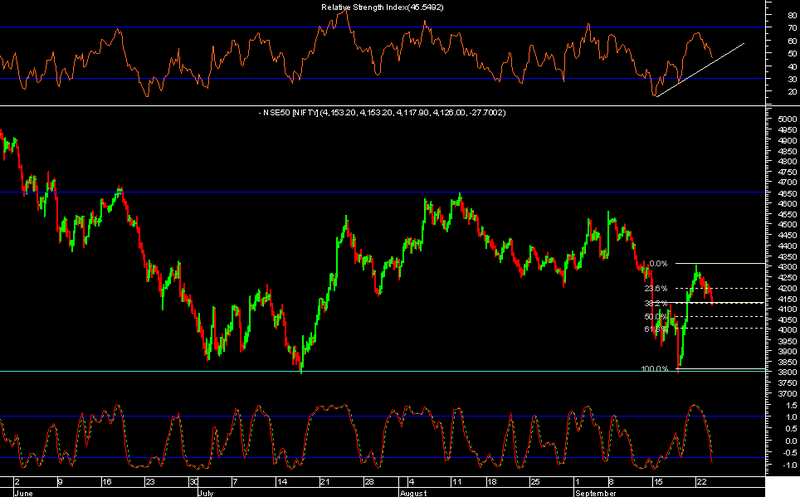 As per the houly charts nifty retraced 38.2&(fibonacci) from its recent high 4303.